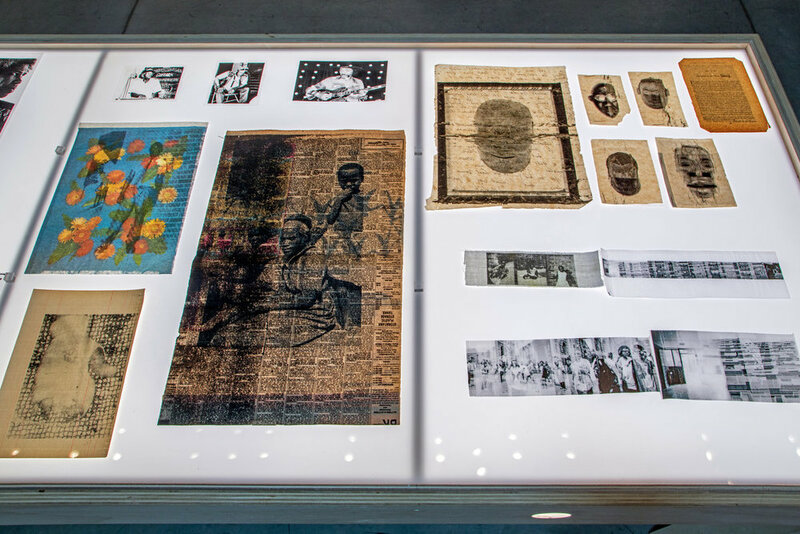 Johnson Artur will show her first US museum exhibition Dusha at the Brooklyn Museum in May. It will be a distinct presentation of her broad practice, including old and more recent works. Come along! Johnson Artur is participating in the exhibition A Time For New Dreams by Grace Wales Bonner at the Serpentine Sackler Gallery opening Jan 19th. She will be showing a new work, an installation with various objects and material. We are very happy that Johnson Artur’s work has been chosen for a feature and the cover of Aperture’s Winter 2018 issue ‘Family’. Copies are on sale from Dec 4th. Document Journal just brought a great feature on Johnson Artur’s recent work in their new F/W 18 issue Nr 13. 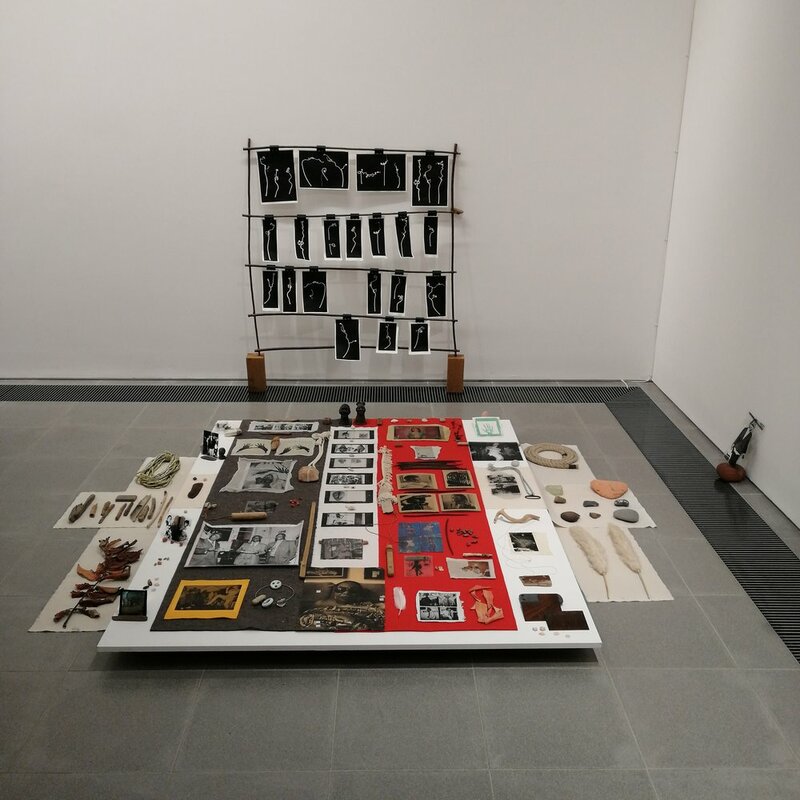 We are happy that Liz Johnson Artur had been a finalist for the prestigious inaugural Jane Lombard Prize for Art and Politics (formerly Vera List Center Prize for Art and Politics), together with Tiffany Chung, Naine Terena de Jesus, and Emily and Annemarie Jacir. The jury consisted of Koyo Kouoh, Richard William Hill, Carin Kuoni, Nontobeko Ntombela, Uzma Z. Rizvi and Maya Wiley. South African collective Chimurenga won the price, big congratulations! We are honored that Liz Johnson Artur has been selected to participate in the 10th Berlin Biennale which is curated by Gabi Ngcobo with her team Nomaduma Rosa Masilela, Serubiri Moses, Thiago de Paula Souza and Yvette Mutumba. Johnson Artur's work can be seen at the KW Kunstwerke space in Auguststrasse. She is showing six bodies of work, of which five had been created for this show. "A picture of one woman looking at another, a portrait of a man holding a camera, a portrait of several women in a schoolyard, a picture of a dancer recumbent, and a picture of several ships. A crisis of borders, a fold in time, a rupture in space. An assertion of gradience. Liz' exhibition as part of her nomination for the Aimia/Ago Photography Prize has just opened on Thursday 6th of September at AGO in Toronto. You can view installations shots below and at https://www.aimiaagophotographyprize.com/artists/liz-johnson-artur . While the four nominees had been picked by a small jury, the prize winner will be chosen by the public, while visiting in person and online! It would be great if you could support Liz if you like her work. It has just been announced that Liz is one of 4 artists who have been shortlisted for this year's Aimia I Ago prize! Her work will be exhibited along side the other nominees in September and the public can choose the winner on the spot or online from September 13. Come back for more informations regarding voting and the exhibition! Liz' work is featured on the Jason Evan's great This Long Century project blog. Check it out! Very happy that Liz Johnson Artur's monograph with Bierke Verlag has been included in the 'Best Photo Books 2016' list of the New York Times. What a great way to end this year! "In her new untitled photography book, Liz Johnson Artur manages to capture compelling nuances of blackness. Instead of perpetuating oversaturated narratives centered around black plight, The Russian-Ghanaian artist highlights friendship, family, and love. 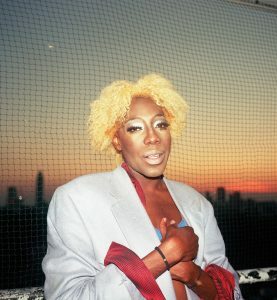 Artur presents the beauty in the normalcy of life in over 25 years of rich photographs taken in London, Paris, New York, different countries in Africa, and the Caribbean that thread together diverse experiences of black people around the world. There's a sense of intimacy from the way Artur approaches her work — in images of parties, she depicts the spirit of the dance floor and when black men and boys are her subjects, they appear majestic and free. Last month, The FADER spoke with Artur over email about how she started taking photos for the book and why it's important to offer a diverse representation of the African Diaspora." For “A Thousand and X Little Actions,” Jörg Koopmann has invited artists, whose work is shaped by a critical, sensitive confrontation with existing relationships and whose attitude reflects a curiosity towards humankind and an openness toward their subjects: Five artists, working across borders, who closely examine diverse identities and their stereotypes and expand upon them, without romanticizing anything in the process. On the occasion of Johnson Artur's slide show exhibiton See Me Here! at the Black Cultural Archives in Brixton, Niamh McIntyre spoke to Liz about here work and inspirations. "For me, taking portraits is a very personal, one-on-one experience", Liz says. "It's a collaboration, even if it's only a very brief encounter." Johnson Artur exhibited a slide reel of visual and audio work captured in South London from her Black Balloon Archive. The installation was on view in the evening hours between 23.09 and 29.09. and coincided with Afropunk London. wir, ihr, sie is the second part of the exhibition 1.-3. Person singular/plural, curated by Anna Voswinckel at the Kunstverein Leipzig. This part was dealing with questions of identity and socialization. Family, community rituals, visual practices of affiliation and othering were being examined. 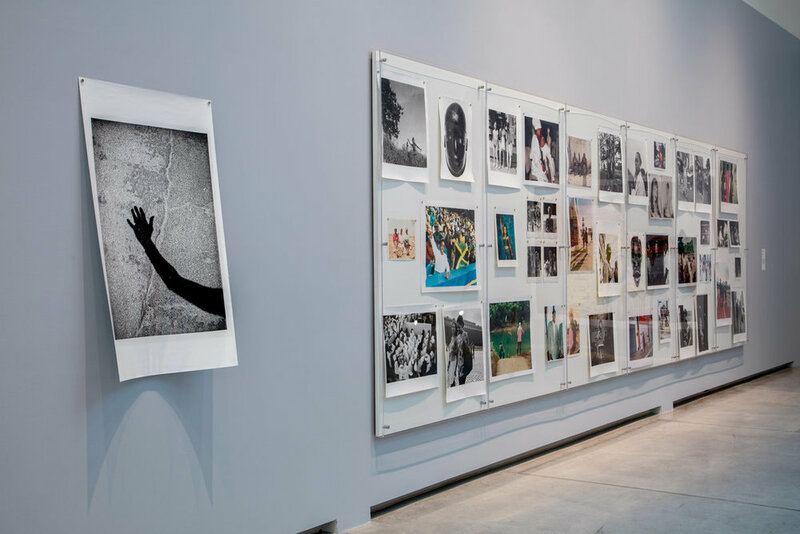 The works on display were characterized by a search for breakups and bordercrossings, and a practice of participant observation and artistic research. 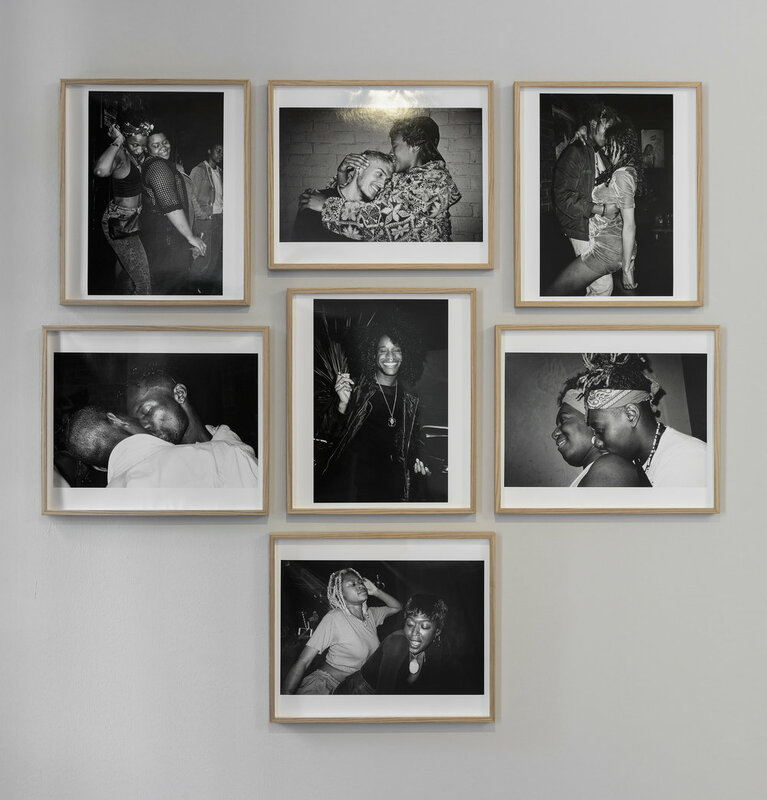 Artur Johnson included 13 images, which can be seen in a full installation view HERE. 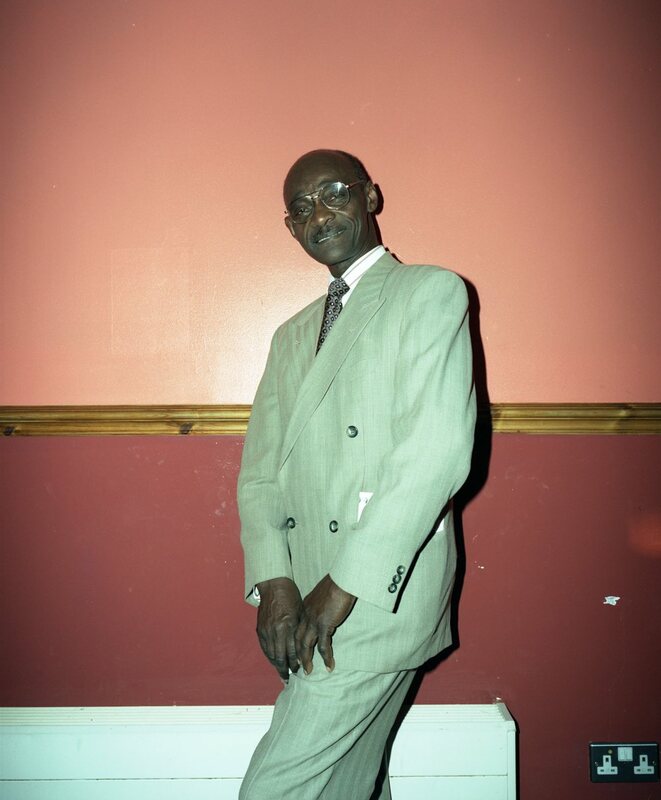 Karen McQuaid, senior curator at The Photographers’ Gallery, has interviewed Liz Johnson-Artur, as she is one of the artists featured in their current exhibition Made You Look: Dandyism and Black Masculinity. This interview, along with other writings and images on dandyism and black masculinity, is available in the new issue of Loose Associations, a quarterly publication on photography and image culture, published by The Photographers' Gallery. The Photographer's Gallery, London, 15.7. - 25.9. 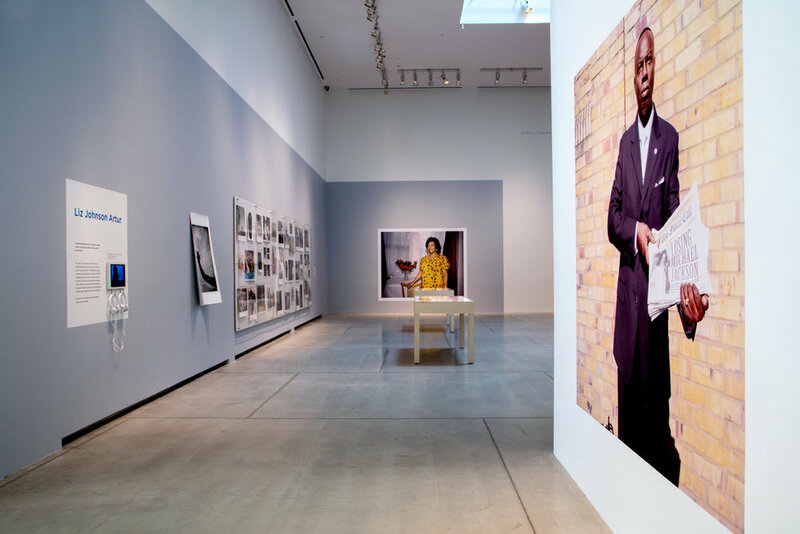 "The Photographers’ Gallery presents Made You Look: Dandyism and Black Masculinity, a group exhibition exploring the identity of the black dandy as performed in studio and street photographs from London to New York to Bamako. In the early 21st century, black men are influential trendsetters in fashion, music and culture. This increased prominence however, has not had an impact on the state of high vulnerability still experienced by black men - as illustrated by disproportionate rates of incarceration the UK and USA. Dandyism, with its emphasis on dress and flamboyance, is examined as radical personal politics and a provocative counter to stereotypical representations and physical objectification of black masculinity. This exhibition seeks to consciously problematise ideas of a male identity through dress and deportment that is arresting, tantalising, louche, camp and gloriously assertive."